I feel like I may be in the minority for saying this, but I like the new front end of the Civic Si. Personally, I have always had an affinity for cars that have angry and aggressive looking front ends. The new Civic Si has that angry and aggressive look in spades, big air ducts and all. It is a little sad that Honda still has not switched to using projector beam headlamps like most of the other manufacturers, but in the grand scheme of things, that is a fairly minor issue. Maybe when the tenth generation Civic makes its debut in three or four years from now, it will finally have projectors. What I am not a fan of in regards to the Si's new look are that big wing on the rear of the car, and the new 18 inch wheels. The wing that Honda decided to attach to the trunk of the car looks like it is trying too hard to be a smaller version of the Mitsubishi Lancer Evolution's rear wing. A smaller wing or even an integrated lip spolier one like the pre mid-cycle refreshed Si would have worked a lot better. 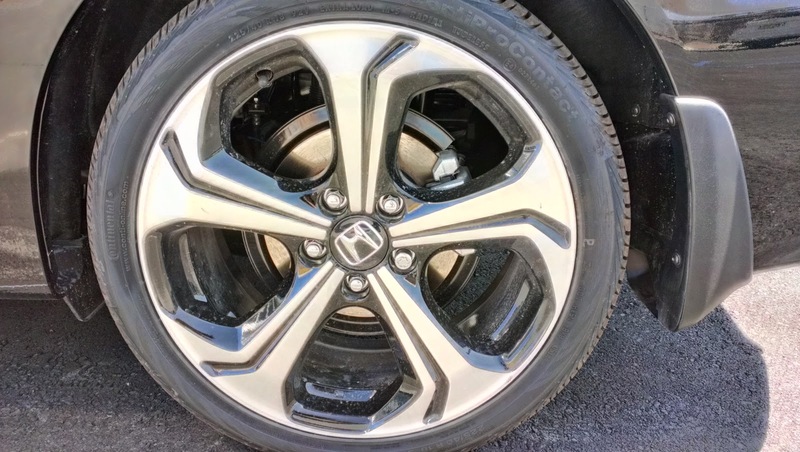 And while I am glad Honda finally decided to equip the Si with 18 inch wheels (thus fixing that silly wheel gap issue), I do wish they could have used ones that had a better design. The optional Honda Factory Performance (HFP) 18 inch wheels look much better than the standard ones. I will admit though, the wheels do look better in person than they do in pictures. The interior of the car has not changed much since the first refresh. Materials still all feel good, the two tone black and red cloth seats are still comfortable and supportive, and the fake carbon fiber trim is still present. The biggest difference with the interior is the addition of the new touchscreen infotainment display. 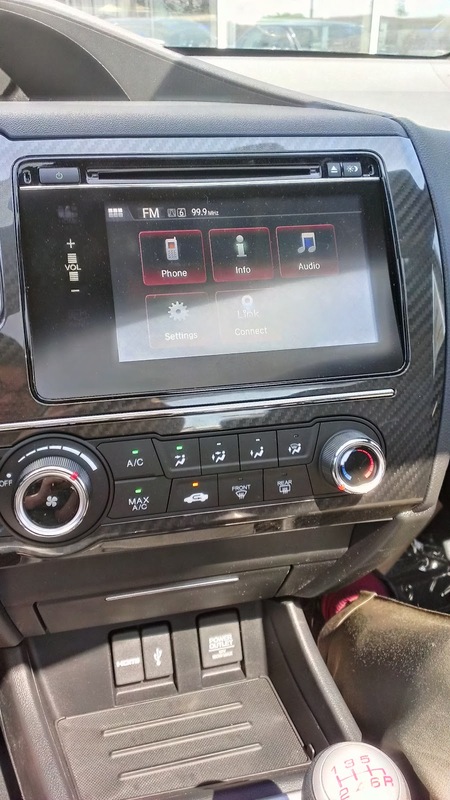 The new touch screen handles all of the car's infotainment functions such as the radio, phone features, navigation (if the car comes equipped with it, which this car was not), as well as various vehicle settings. Only the HVAC system is not part of the new touchscreen as it still operates with dials and buttons. The touch screen definitely cleans up the center console a lot, and looks very cool and sleek. I was a little annoyed at the lag time when touching the screen to go to the different functions, but it really is no different than the lag time that pretty much all car based touchscreen systems have. Even the touch screen in our 2014 Acura RLX still bothers me from time to time. When test driving the two previous version of the ninth generation Si, the handling was a bit disappointing. The cars both felt a bit softly sprung for a car meant to be a performance vehicle. Steering was also a bit disappointing in the previous two cars, as both versions felt over boosted and lacked a lot of steering feel. Luckily, Honda seemed to have fixed these issues with the mid-cycle refresh. The 2014 Si feels much flatter and neutral during cornering. There also seems to be more steering feel through the wheel. It is not quite as good as my S2000, but it surprisingly is not far off. The one handling related item not fixed were the brakes. Thankfully, the brakes in the two previous model year Si were never that bad to begin with. As usual, Honda's six-speed manual transmission is superb. The gear lever feels bolt-action rifle accurate and each gear change is greeted with a solid feeling "thunk" rather than the odd, plastic feeling of some other manufacturer's gearboxes. Clutch engagement was pleasantly light; it had just the right amount of weight without feeling like my left leg would be getting a good workout during rush hour traffic. Despite the great transmission though, the engine left me disappointed. The 2.4 liter inline-four cylinder received a minor update, allowing for a small bump in horsepower and torque. I was not expecting anything spectacular with these changes, but I did hope that the small changes would have helped inject a bit of the Honda spirit back into this car. While the engine does sound quite nice at full throttle, it does still suffer the same problem as the two previous model years: the engine's power seems to plateau as you approach the 7000 rpm redline. Now, I am not saying that this is a bad engine. It is actually a very good engine, with plenty of mid-range thrust. Again though, this does not feel like the right engine for this car. 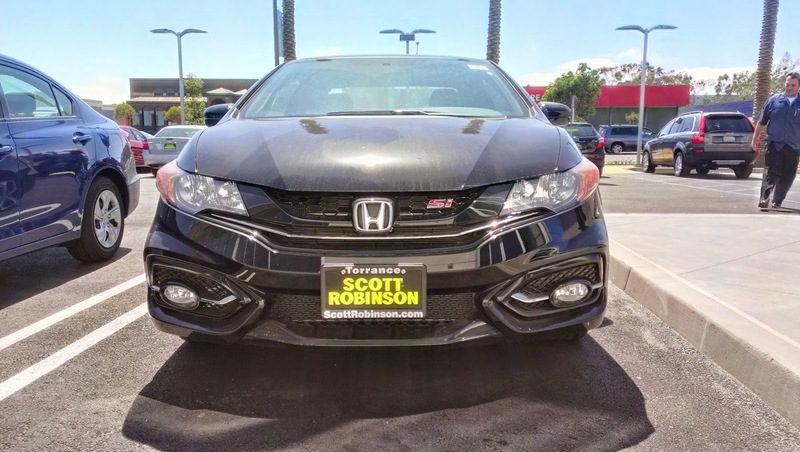 When I think "Civic Si," I think of the sixth generation Civic Si with its high revving B16A2 1.6 liter engine, or the eighth generation with its amazing and high revving K20Z3 2.0 liter engine. 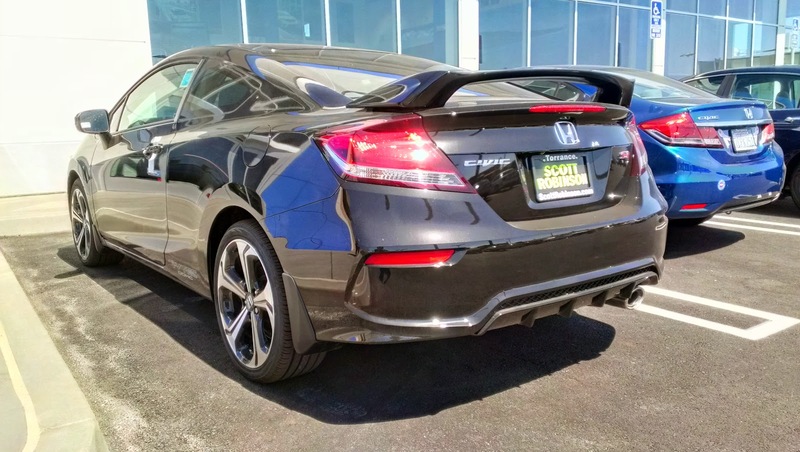 As mentioned in my previous reviews, as well as the review of the Acura' ILX, the ninth generation Civic Si's engine feels right at home in the more luxury oriented Acura ILX, but does not feel right in the sport oriented Civic Si. Even with the minor upgrades to this mid-cycle refresh, the engine still feels like it belongs more in the Acura ILX than the Civic Si. 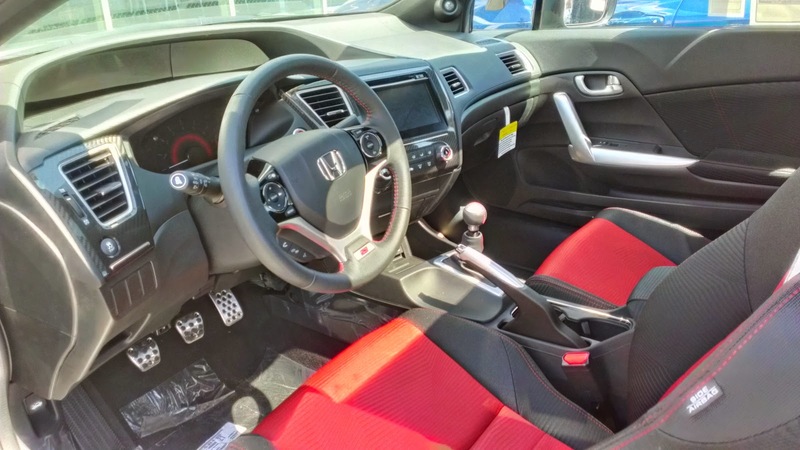 While the exterior, interior, equipment, and handling updates have all made the 2014 Civic Si a better vehicle than the 2012 or 2013 versions, the engine does leave the car a bit lacking. Honestly, I did not expect Honda to put a brand new engine into a car that is only into its mid-cycle refresh, but I was hoping for some changes to the engine that would at least make the new car drive a bit more like the eighth generation version. Engine aside, the Civic Si is actually a very well packaged car with a lot of great standard features. For an MSRP of $22,790, you get a lot of new features like the touchscreen infotainment and blind-spot camera that are either not available on the competition, or would cost quite a bit more to get. drive, the car still lacks that Honda spirit I grew to know over the years through cars like the Acura Integra, the Acura RSX, older versions of the Civic Si, and the S2000. 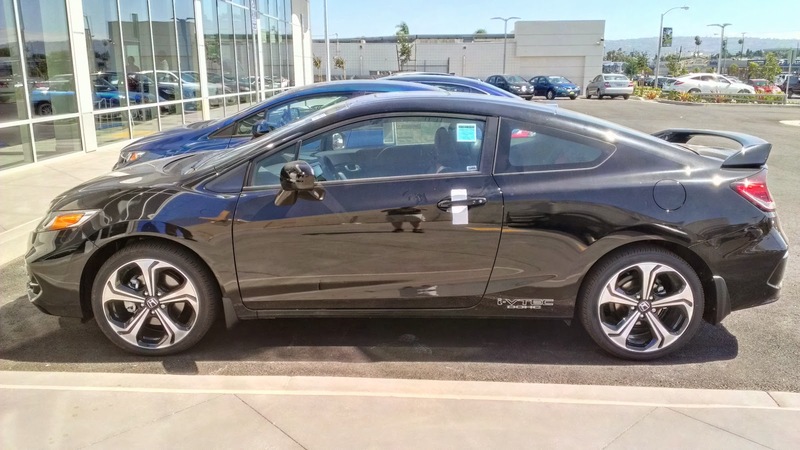 As a daily driver to supplement my own car, I think the Si would be something I would consider, albeit in sedan form. 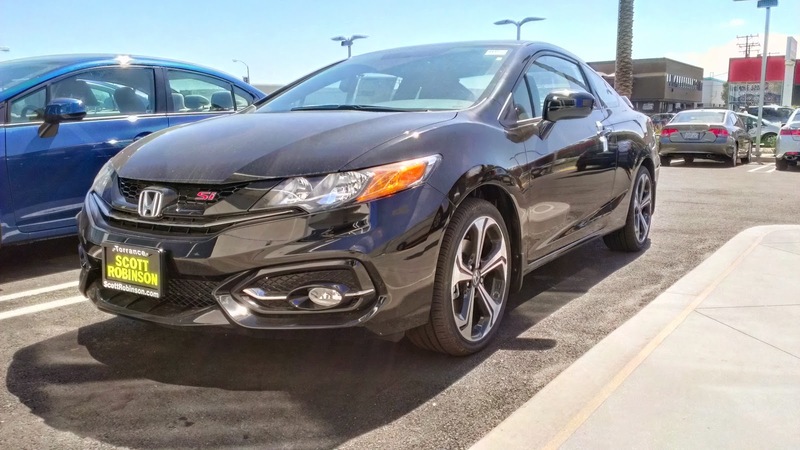 For a compact sports coupe and sedan, the Si is comfortable and works well as a car to have some fun on the daily commute. As a replacement for my S2000 though? Not a chance. Special thanks to Scott Robinson Honda for letting me spend some time with the new Civic Si.